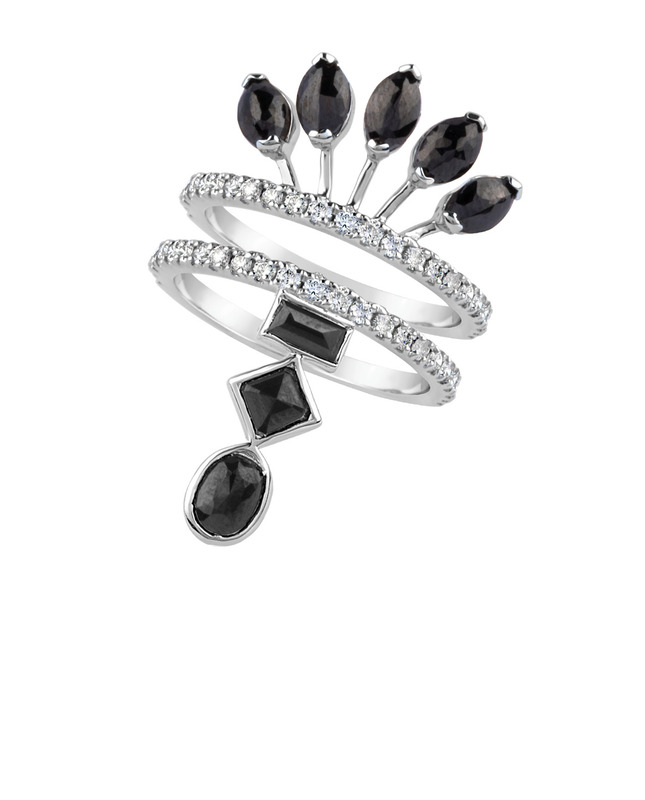 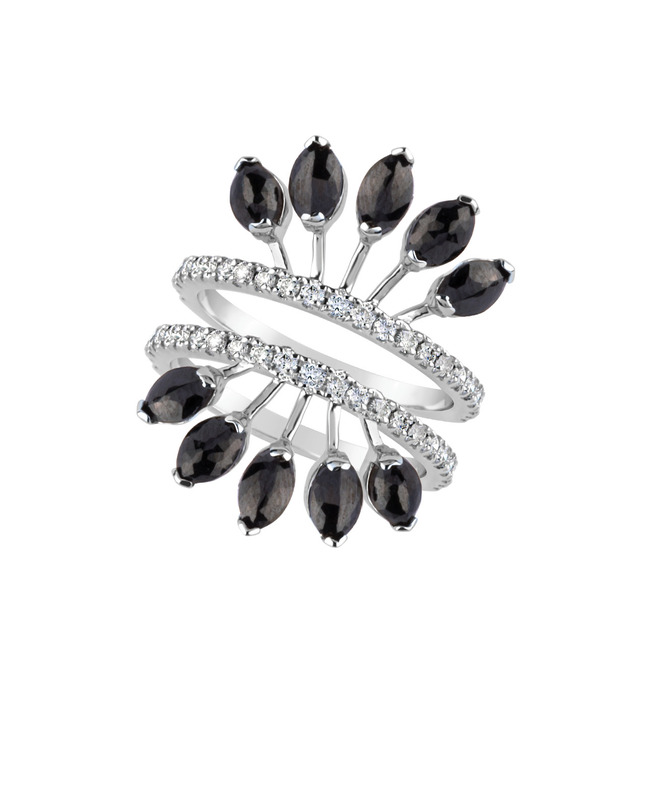 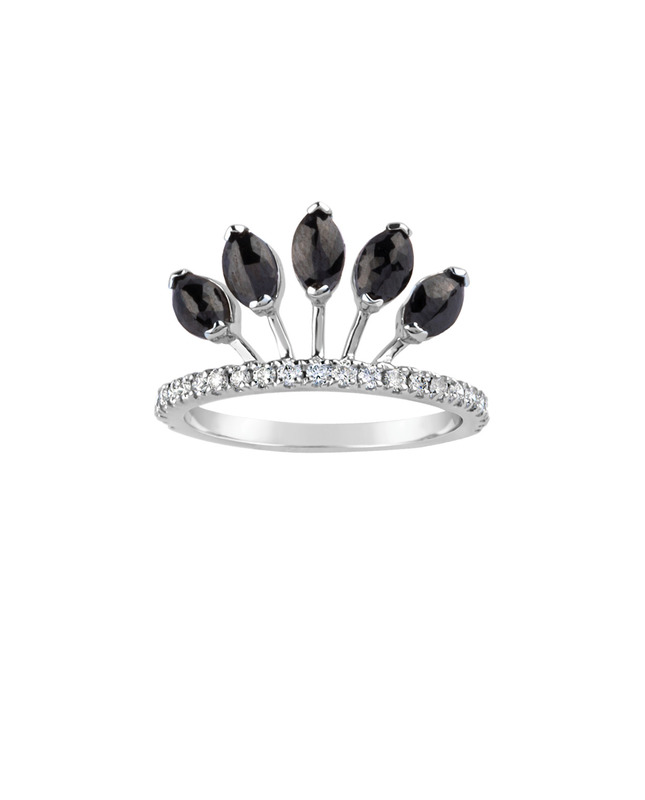 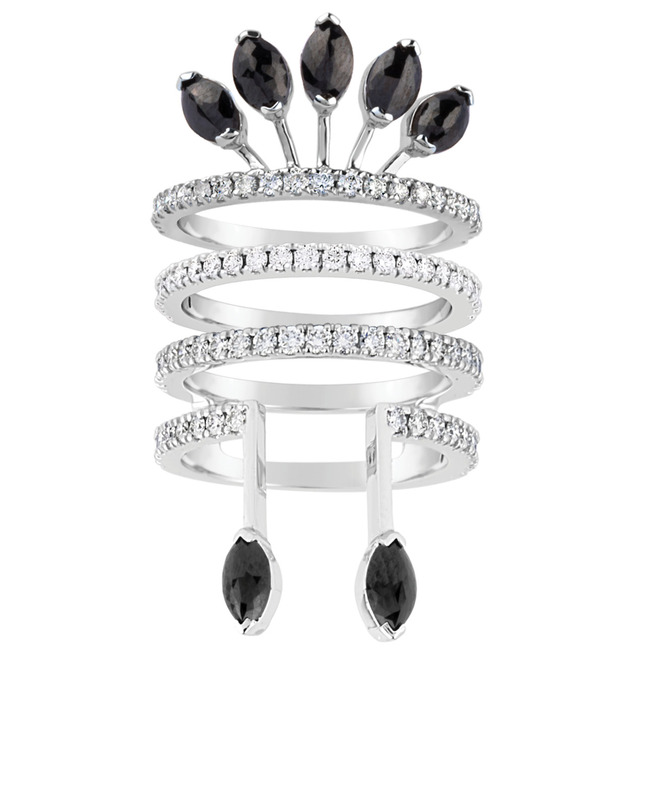 Like a cry for independence, the Crown ring from The Tribe collection expresses itself through the women who wear it. 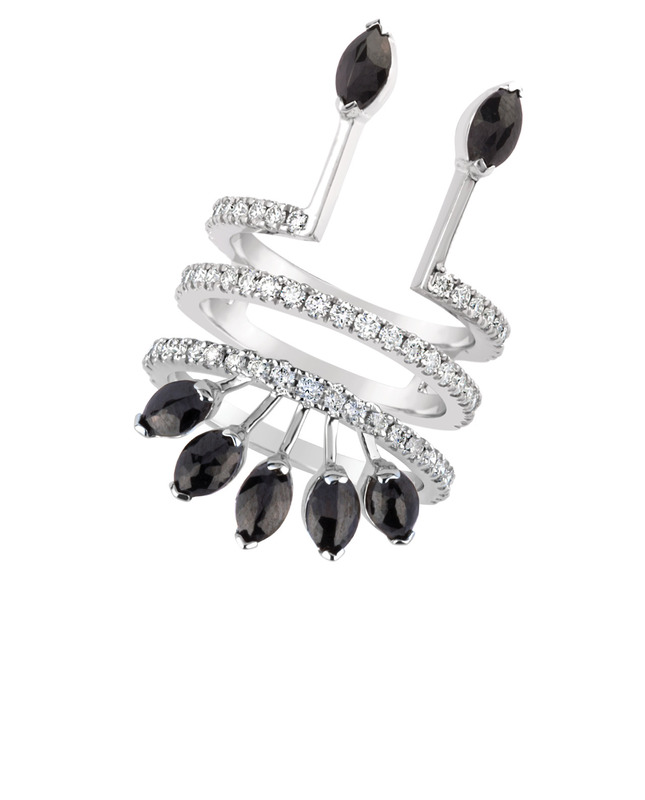 United on a band of light set with brilliant-cut diamonds, these five marquise-cut black diamonds soar up in the air like an ovation for freedom and modernity. 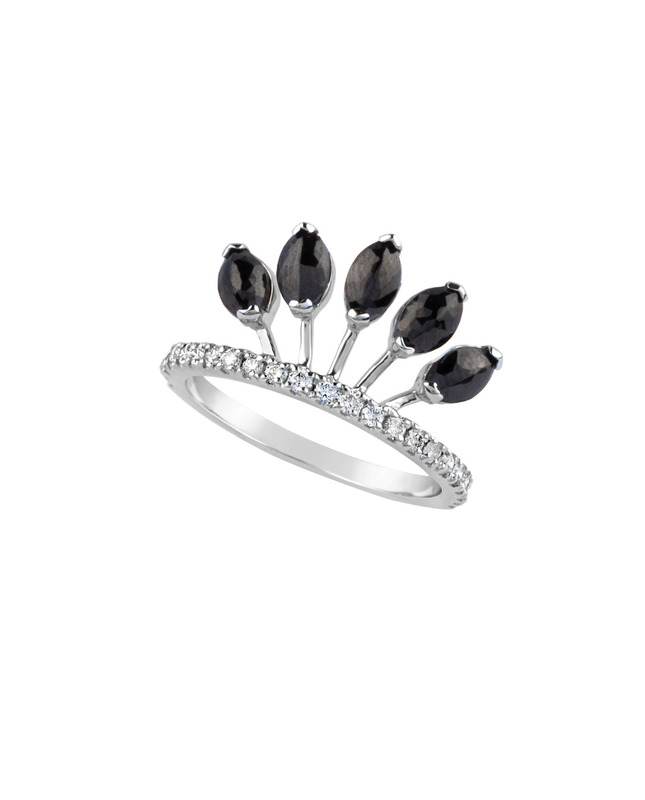 This crown will wonderfully ornament any engagement rings or other fine jewelry creations.